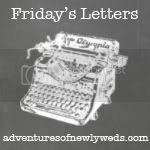 I am a firm believer that dating, even within marriage should be fun and adventurous! It can melt a gals heart when a guy takes the time to plan a well thought out date. 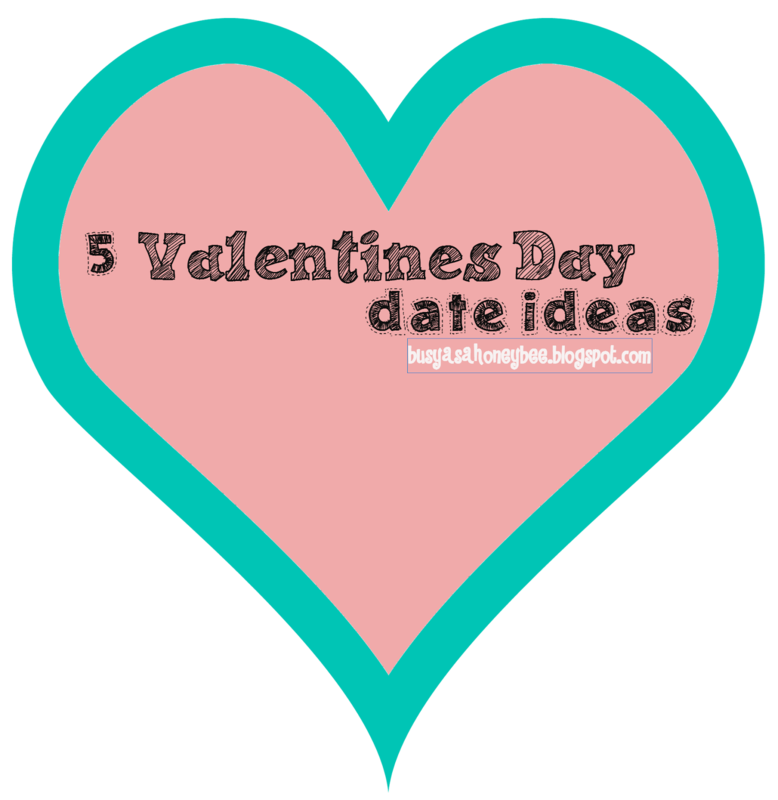 I know that i would not mind any date, any time of the year planned out for me! Don't worry hubs is great at doing these here and there! Yes, this would be an active thing to do with your significant other, but it sure is a bonding activity! Find a local recreational area, national park, local walking trail, wherever, just hike! Oh and if you're the guy, you might pack some sweet stuff like small love notes to red as you walk or snacks that yo know your gal will appreciate! Remember nothing too heavy, cause you will be HIKING! Head to the same restaurant, do the same activity, recall all the feelings of your first time alone together. All of these things will really ignite the romance! Of course, it helps if you rememebr these details. I'm talking cooking class, photography class, or exercise class. This pulls you and your partner out of your "norm" and pushes you right into a new experience. You will have fun doing something new together and you might even learn a thing or two! Yeah, this one totally sounds like it should be one for a high school make out session, but oh well! It might make you feel young again. This will totally help you to hit a pause button. This could be a lake, mountain, river, ocean, or whatever you find beautiful with your loved one. Just stand there and enjoy the view together it sure can make you stop to think about what life has brought your way! Whoever normally cooks should not do this! Take over cooking responsibilities and plan a serious dinner. Don't make it overly complicated, but just simple enough to make it substantial. Remember a gal will enjoy some healthy food too! Oh and it doesn't hurt if you know all her favorites! Ladies - I hope you share these with your guys! Especially if they need a more than subtle hint! These would be great any time of year, but any gal sure does want to feel loved and cared for around Valentines day. Men - By all means you can opt for the candy and the flowers, but it sure wont mean as much. Treat her as though you would buy that ring for her all over again. Or even as though you would ask her out on your first date again! Today I am helping to host the GFC Blog Hop! I am so excited about this! It should be good fun! I have linked up off and on for a while, but this week it is my turn! Yahoo! If you are new here, please don't be afraid to stick around for a while! I need a new face wash and need one now. Hubs and i wandered target a bit in hopes to find one that is reasonably priced and that i might like to help clear up my skin a bit. I am just not really happy with the Cetaphil i have been using and feel i have only broken out more with the stuff. I have toyed with the idea of changing up my routine a bit, but i want to be careful about drying out my skin, as i know this could cause breakouts as well. I have combination skin. Some spots are oily and others are dry, dry, dry! So, i am looking to you, my dear readers, to recommend one. What face wash do you use? What do like about your current face wash? I cannot for the life of me correctly type the word recommend reccommend... no, reccomend, ugh recomend, gosh! geez louise! And now the correctly spelled one looks just flat out silly! Arg! I will just depend on spell check for this one! My husband heard about a diet from a co-worker and this time his suggestion might stick and pull me away from my Lindora-esq ways! Yes friends, its time again that i loose some weight. The thing i always struggled with, even on Lindora is maintaining. It is difficult, in fact, the most difficult part of changing your diet for the better and for the long run! So, my husband really wants to give the 7 Day Carb Cycle Diet a try. It is based on the book "Choose to Lose" written by the guy from Extreme Makeover Weight Loss Edition (Chris Powell). I have read a good portion of what the diet entails and really seem interested. I told the hubby to give me a week to prep everything. We plan on starting the day after the Super Bowl. Have any of you started this diet? Heard about it? Read the book? Just wondering any thoughts about it... help a sister out! Big things are happening again this week. Be sure to stop by tomorrow! When I was a kid I thought that $100 was like a bunch of money. Am I alone on that? I'm sure that I am not alone. These days $100 goes so fast! In fact it can be really easy for hundreds to go running out of your hands before you even blink! So what would I do if I found $100? Well after I screamed in shock and carefully examined said $100 bill (or mixture of bills equaling $100), I would then definitely begin to plot my use of this money. So hmm, lets be honest, $100 could easily be spent in a couple pairs of shoes. In.a.new.york.minute! But with valentines day coming, I am sure I could easily put that money towards a gift for my hubby. And now that I have typed that, I'm pretty sure that he would love to splurge on a nice dinner at Cocina (pictured below) or just to flat out save it? So there you have it, that is what I would do with a 100 big ones! What would you do if you found $100 just lying around? Here's what's been happening on Instagram. A flower/weed from a kiddo! What Lily does while i put my make up on! This was my lunch on Saturday! Yummy Balboa Bar! If you are not sure what one is, go here, and then come back! A housewarming gift that wrapped up pretty nice! If you wanna see more of where I'm at, what's in my view, and what is happening in my life, just follow along! If you aren't on instagram, I recommend changing that! It's so fun to see what others are posting, doing, or seeing! Follow me @Simoney234 on instagram! If you are on there and want another follower, just leave your info below! Gonna try this out this week! I have been reading Linny's 10 on Tuesday posts for a while and I have participated in her Random Thursdays that she co-hosts on Thursdays. So it's about time that i tried this one out! Tuesdays as Mondays confuse me. I know, I know, the week goes by faster, but c'mon. It just feels a little unnatural. By Friday i will feel differently, i'm sure. CA weather has gone from 30 degrees to 80 in the course of a week. My wardrobe is incredibly confused. Californians cannot really store away summer clothes. It doesn't work. Have I mentioned that my kitten fetches? She is pretty darn good too! she brings back the ball, hair tie, toy mouse, or whatever you throw for her. She even meows a little when she does it! So cute! At one a recent social event where not everyone knew each other, i became completely convinced that people were recognizing each other from Facebook. I don't think this is completely out of the question. I think we all do our fair share of Facebook stalking and we could easily look at pictures of people we would potentially meet. Side note: I never thought anyone looked familiar at said social gathering, just made the observation! So, while most classrooms might be filled with a variety of kids, mine is clearly filled with kids that are like the one at the end (on the far right). This video is a bit old and please disregard that there are a million paper bags in the background! Keeping on the theme of cats... this is really hilarious! My husband did not fins this as amusing as i thought he would. I love it! You may not think it is as funny. You have been warned! The Bachelor is on tonight. Oh.my.goodness! Its so cliche, but here's my excuse for liking this show and continuing to watch it season after season. I love to watch where they go and what they wear! But to be honest, this season i REALLY like Sean! He was my favorite when he was on The Bachelorette with Emily. What I don't like? The stupid DRAMA commercials that air over and over again! I have no favorites just yet because so many of the girls seem to still be psychos! Being a featured blogger on SITS Girls was pretty cool! Thanks to all those that visited and stuck around! I totally thought my Monday off was going to be filled with tons of items getting marked off my to-do list. What was i thinking!?! I did however get all the cooking done for the week, like seven loads of laundry, and registered for my Autism Authorization that i have to get done by October! BTW while i cooked i watched old episodes of Family Ties on Hulu. It was fun, but i realize that TV was way different back then! Hope you have a great Tuesday! 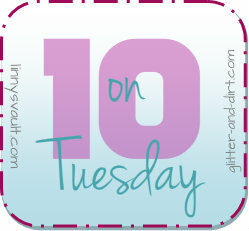 Stop by some other blogs to see their 10! The link up is here and here! PS It's blog hop day! Come and join us! I am off work today, are you? Hope your work day went awesome if you had to work! Here's some childhood perspective on dreams for our world that I thought i would share with you! ...that homeless people would have homes, food, and free stuff. ...to give people everything they want. ...to help people be safe. ...that homeless people would have food. ... to give money to homeless people. ...that everybody would have somebody who cares about them instead of hate. ...that everybody should care about everyone. ...that everyone would have houses or apartments for free. * = ones that i really loved hearing from my students! Its amazing what kids have to say about the problems in our world! It's also a really big day for this BLOG! It's my SITS Day! If you are not sure what this is head on over to the SITS Girls site to find out more! I am truly honored to be the featured blogger today! If you are a visitor here, please pull up a chair and stay for a while! Oh and before i go, I had a little giveaway last week! So ... FIVE people entered and FIVE people won! I have a few letters to get off my chest! Dear Lily- I love how cute your kitty ways are! You play fetch and i love it most of the time. This week you made me and your Pops so proud! You did not freak out when you got clipped and even when you were bathed! What and awesome kitten you are! Dear Hubs- I love you! So glad you have had a pretty good work week! I am so proud of you and all of your accomplishments! Can't wait to spend a weekend with you! Dear Work- I hate you, you smell! I want vacay back! And no, Monday is not enough! **Side note - I don't hate my job, but who doesn't just adore vacation time? Dear Blog- I cannot wait til Monday! Winners will be announced plus there will be other fun stuff! January is a big month here on this blog! Dear Body- Yeah, I've been moving you so much, yet the scale says nothing has changed! I am tired and sore, so um, yeah, you could be a bit lighter! Might be time to lose again! Dear Followers- How i totally love you all! Welcome to my new followers and thanks for staying to my veterans! Hope you like this little piece of blog-land! Got and letters to get off oyur chest? It's really not so random that i have had to clean out my purse, but what is pretty random is that this post is what motivated forced me to do it! So glad I did get a chance to clean out my purse! Pens, sunglasses (inside the Maui Jim case), tea, lemonade drink mixes, and a cosmetic bag filled with Chapstick lip gloss, Advil, breath mints, gum, girly stuff, and much more! This is where hte money is at! My checkbook, a small travel jewlery box, my point and shoot camera (I think the battery is DEAD and i am not sure where the charger is at the moment!) and my wallet from Fossil! New gloves, Burt's Bees cuticle salve, Backyard Bees Body Balm, my CUTE tissue pack (because i got supper frustrated with ratty looking Kleenex packs in my purse!) and an empty ring box to hold my rings while i kick box! Oh yeah and there was a little bit of junk! Some was trashed and some was definitely saved! Like our Realtor's business card! Gotta save that one! You may say this is a lot of stuff, I agree! But i look at some of it and think to myself "the moment i take this out, I will need it, for sure!" I am so not alone on this one! So what's in your purse? Do you have as much crap that you lug around? Link up if you care to share what's in your bag! PS. My apologies for the awful pictures! Guess i should charge my point and shoot or bust out the DSLR? So on my last week off, i spent quite a bit of time working out! Our apartment complex has a gym for residents and i was excited to find a quiet place to work out. It wasn't as quiet as i had expected but still there were very few people and there never was a fight for a machine! I did however get annoyed by one fellow resident who was using the gym on Wednesday. This guy was there when i walked in. He wasn't wearing headphones and was working out sporadically. He would lift a little and then get water and walk/wander around the room. While on the treadmill, this was bothersome because he kept popping up in my peripheral vision. He would also walk in between the machines and check himself out in the mirror that was all the way across the room. This made me think that he was just trying to get my attention. I also was not wearing my wedding rings which i wished i had had. Nothing scares away a creepy single gym rat like a big diamond on your finger. I remained on the treadmill and got a good run in along with a long walk after. He still lingered. I then moved to some weights. By this time, there were other people in the gym. Another girl and another guy, to be exact. The other two people kept to themselves, worked out with out wandering around and bugging others, and for the most part did not even look my way. The odd creepy guy continued to wander. I laid down on the bench with my hand weights in hand and my phone on my stomach. I did a few reps with my hand weights, focusing on my arms and chest, and during that time, this creepy guy walked past me three times. Each time he STARED at my chest. Each time i desperately tried to avoid looking at this guy, but each time it was like he was standing over me and looking at me. It freaked me out! Anyway, i finished up my workout and left. I was even afraid that this guy would follow me on my walk back to my apartment, so i kept looking over my shoulder! He didn't follow me. But he got me thinking, for sure! 1. Realize you have a choice: say something to the creeper or ignore and be secretly flattered by the stares. 2. Realize that he is just a guy being a guy. They all look, some are just less obvious! 1. Please try not to stare. It makes us feel awkward and uncomfortable. 2. Realize that women only go to the gym to workout, sweat, and then leave. This is really not the time for us to meet you. 3. Don't try to make us notice you by wandering around the gym after each set. It's annoying! Specifically to my neighbor who was in the gym the other day: You are a creepy guy who just needs to keep to himself. Your eyes should only be on the ground, your weights, or your iPod. Oh and BTW get some sort of music device. It will help you seem less creepy! Thanks! A huge part of this blogging world is to befriend those that also blog. It has been a huge blessing to me to read about other people, their teaching experiences, new lesson plans, about hopes, dreams, struggles, and triumphs and really so much more! Often I read several posts in an evening and many times i find myself reading posts with tears streaming or a huge smile and sometimes even a huge belly laugh! Many times i have been led to pray for my fellow bloggers. It is definitely not easy to express yourself with care on the internet, but it takes a huge amount of guts to really say what is on your heart. Bloggers who spill their personal struggles often lead me to prayer. Today I thought i would share the bloggers who have recently led me to prayer. I will not share the reasons why, but only ask that you read the posts that I link to and maybe even say a prayer for that person in return. Check out this post and this post! Taylor over @ Baking, Crafting, Teaching... Oh My! Check out this post from a few months ago! She has been heavy on my heart since i read her struggle! She had her little apple just before the new year and she has been on my prayer list as well! Check out this post and this one too! I cannot find the exact post that htis lady posted about six months ago, but this lady had had one hec of a time finding a teaching job. She seems to roll with the punches and continues to work with kiddos however she possibly can! She just started a new job, mid-year and I have continued ot keep her in my prayers. She definitely has the heart for special ed kiddos! I hope you might join me in praying for these lovely ladies! 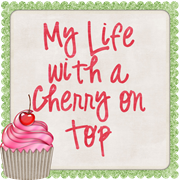 Oh and don't forget today is the GFC Blog Hop with The Life of a Not So Ordinary Wife! go Check it out! PS. I have thought about making this into a link up, would any of you be interested? And I am totally coming through! There's a giveaway on this here blog today! It's my one way to celebrate going back to my classroom. Ugh! Winter vacay, how i miss thee! I'm giving away 5 rentals from your local Redbox to five different people! If you don't know what Redbox is, just click here and their website can help you out with that! Let's just say it is the easiest form of renting DVDs, Blu-rays and games on the face of this planet, or at least in the USA! Returning them is pretty simple too! So the Academy Awards are coming and all the nominees were announced last week! Here are some ideas for what you could watch, if you win! These are just a few movies that you could rent if you win!